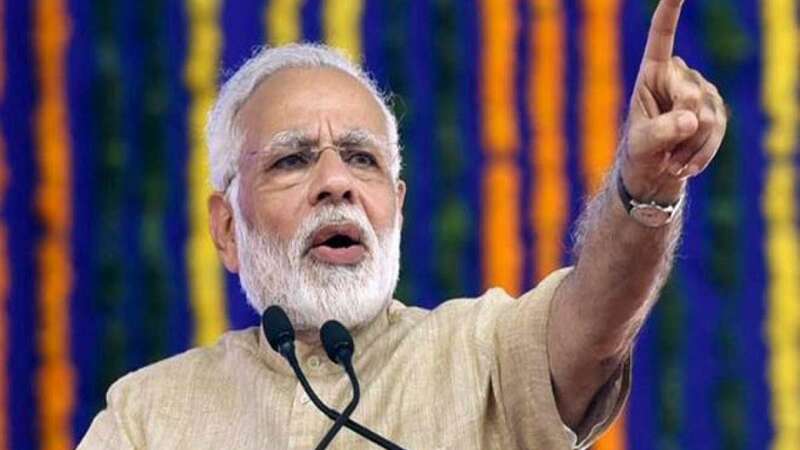 New Delhi : With election 2019 heading close, Prime Minister Narendra Modi leaving all stone turned to elevate the vote bank rate. On Monday, today, he made a strong case for an accountable pricing of crude oil that balances interests of both producers and consumers, saying people must have global access to clean, affordable and equitable supply of energy. In the Petrotech 2019 conference, PM Modi said the world for long has seen crude prices on a roller-coaster. Nation like India which is dependent on imports to meet more than 80 per cent of its oil needs and half of its gas requirements, the volatility last October jacked up retail petrol and diesel prices to record highs. The same has led to natural gas not being used as a fuel in power plants despite it having enormous environmental advantage over polluting coal and liquid fuels. “We need to move to responsible pricing, which balances the interests of both the producer and consumer,” he said. “We also need to move towards transparent and flexible markets for both oil and gas. Only then can we serve the energy needs of humanity in an optimal manner.” The PM added that the challenge before nations is to deliver affordable, efficient, clean and assured energy supplies to their citizens. “Suitably priced, stable and sustainable energy supply, is essential for rapid growth of the economy,” he said, adding that “it also helps the poor and deprived sections of society to partake of economic benefits.” Oil and gas are not only a commodity of trade but also a basic necessity, including kitchen of a common man or for an aircraft, energy is essential, he said. “Perhaps, this could be a historic transition.” “There is a shift in energy consumption from west to east. The United States has become the world’s largest oil and gas producer after the shale revolution. Solar energy and other renewable sources of energy have become more competitive. They are emerging as sustainable substitutes for traditional energy forms. Natural Gas is fast becoming one of the largest fuels in the global energy mix. “There are signs of convergence, between cheaper renewable energy, technologies, and digital applications. This may expedite the achievement of many sustainable development goals,” he said. While the world is entering an era of greater energy availability, more than a billion people across the globe still do not have access to electricity and many more do not have access to clean cooking fuel. Going through his government’s achievements in the energy sector, he said electricity has reached all our rural areas and the target of 100 per cent electrification of households will be achieved this year. While electricity generation has been raised, effort is on to cut transmission and distribution losses. India’s World Bank Ease of Getting Electricity Ranking, improved from 111 in 2014 to 29 in 2018. “This will further grow by about 200 million metric tonnes by 2030,” he said. Also, the government is aggressively pushing for use of bio-fuels with 12 second-generation bio-refineries in the process of being set up in 11 states.